Raisins are a fantastic addition to any salad, and they seem to be particularly popular with leafy vegetables of the beetroot family. The first time I had used golden raisins in cooking was to make Roasted Beets with a Curry Vinaigrette, and later I used them in my sauteéd Rainbow Chard with Raisins, Pine Nuts, and Serrano Ham. The sweet little morsels can really hold their own against other powerful flavors, such as the spiciness of curry, bitterness of chard, and saltiness of serrano ham. 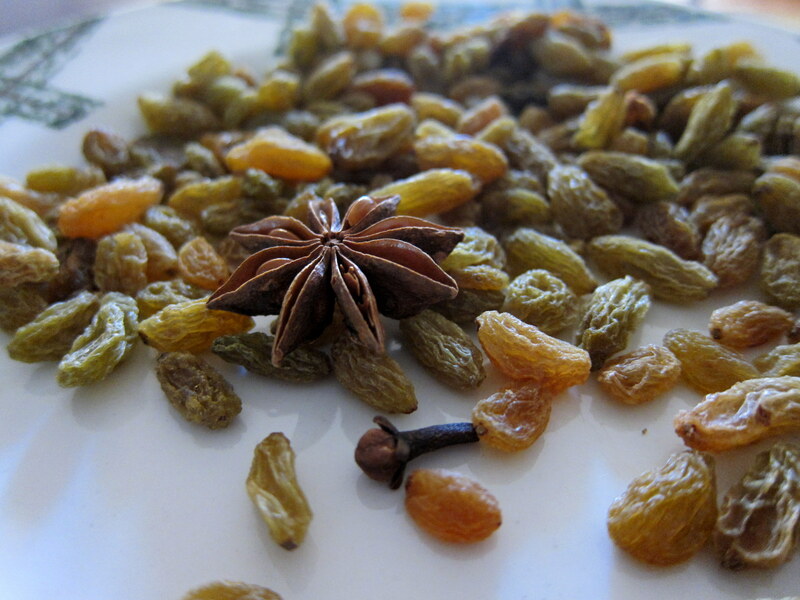 Combine the raisins, star anise, and clove in a jar. Bring the wine to a boil in a small saucepan. 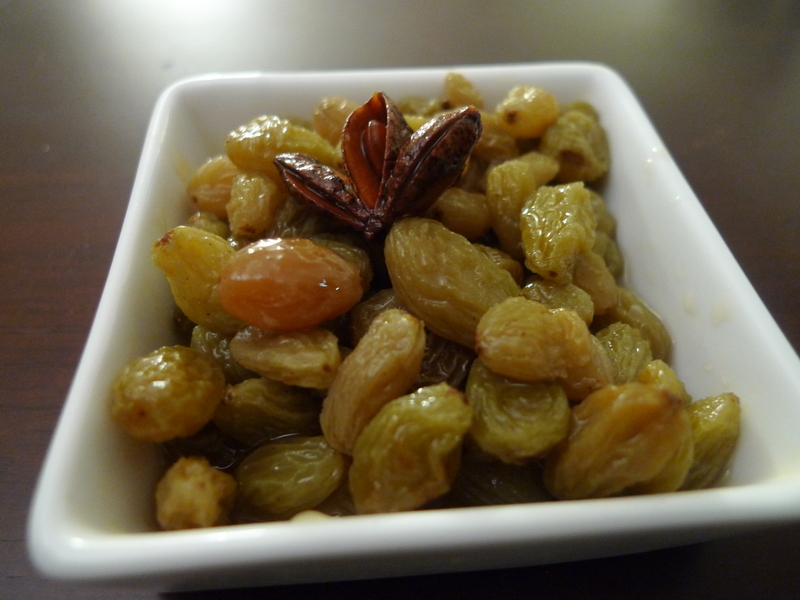 Pour over the raisins and let cool to room temperature. Let stand for 30 minutes, or cover and refrigerate for up to 1 month. Remove the star anise and clove before serving.